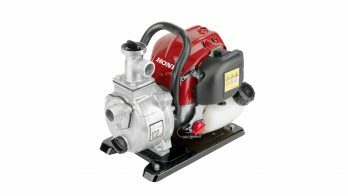 For professionals up against it, our High flow rate water pumps have commercial features for moving large amounts of water – fast. Pumps 600 litres a minute with 3.2 bar of pressure and a 2 hours 50 minutes running time. Cast iron water pump pushes 600 litres per minute, debris up to 6mm, and a total head of 32m. Water gets everywhere – there’s often no escape. Our powerful High flow rate pumps are designed to deal with large volumes of it: problem quickly solved. 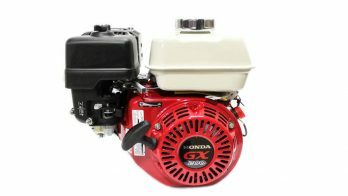 Our High flow rate pumps are powered by our commercial grade GX engine. Equipped with specially-designed professional features, including the ability to deal with silt and sand, they’re perfect for use on construction sites or for clearing floodwater. Designed with an abrasion-resistant cast iron volute and impeller, our High flow rate pumps have specially designed vanes for a larger discharge capacity. This means they can move up to 1100 litres a minute – that’s the capacity of an average-sized swimming pool in under an hour and a half. As well as their solid iron parts, our High flow rate water pumps use durable silicon carbide mechanical seals. Both of these features provide extra durability for handling water containing debris up to 6mm in size. There’s even a strainer to ensure nothing bigger gets through. What makes our High flow rate pumps so effective is the craftsmanship of the hose seals and O-rings – they ensure air can’t be drawn in, which causes the all-important vacuum to be lost. The impeller-to-volute clearance has also been designed in this way. It all means they not only have an impressive flow rate and pressure – but they can keep it up; they can go for up to 2 hours 50 minutes before you need to add more petrol. Our OHV 4-stroke engines won’t let you down. 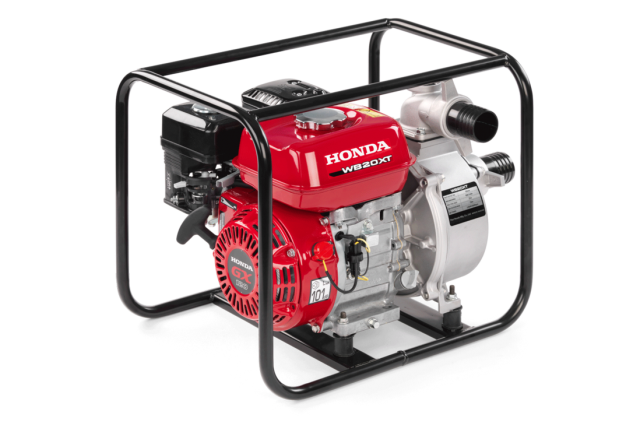 Our water pump engines are reliable and have low emissions – automatic decompression makes them so quick and easy to start. To keep everything in check, they also have Oil Alert™. 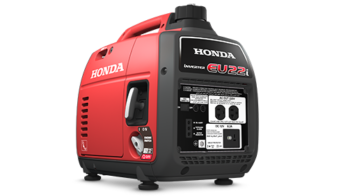 This prevents engine damage by automatically shutting the unit down if the oil drops below a safe level. To keep everything in check, they also have Oil Alert™. This prevents engine damage by automatically shutting the unit down if the oil drops below a safe level. Our water pumps’ heavy-duty full frame offers protection to the unit as well as a handy handle for transportation. Anti-vibration straight engine rubber mounts reduce mechanical stress on the unit, so it hums away nicely without juddering or making a racket.